A new art competition is challenging students from Birmingham City University to showcase the benefits of magnesium for the aerospace industry. The metallic element is an incredibly light structural material, but has long been overlooked in the aerospace sector, believed to lack crucial properties that heavier, less abundant metals possess. However, following the reversal of a long-standing ban on using magnesium in aircraft seats, engineers are being urged to reconsider the metal. The new competition, set up in conjunction with magnesium manufacturer Meridian Lightweight Technologies (MLTUK), saw the university students visit Birmingham Airport in search of inspiration for their designs. “As industry seeks to become more and more sustainable, the benefits of magnesium are more pertinent than ever,” said Professor Julian Beer, deputy vice-chancellor at Birmingham City University. “This is why our competition is so important, while also giving our students valuable exposure as they seek to forge their own careers in engineering and the arts. The competition has already provided the students with an opportunity to work closely with professional artists, designers, engineers, industrial partners and global organisations. 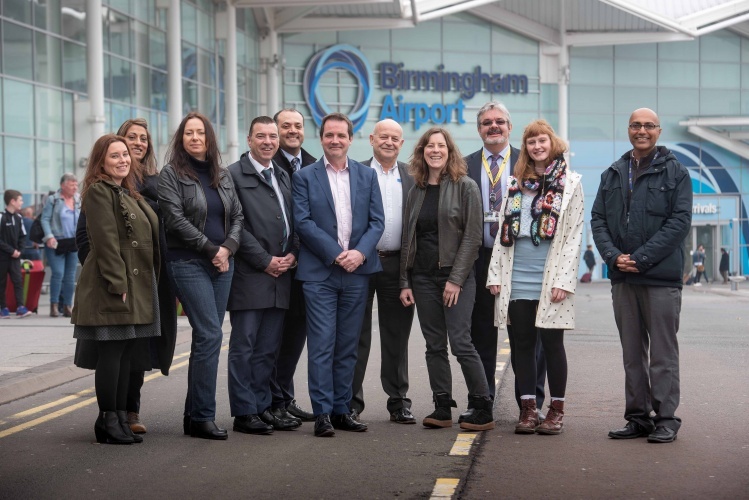 It is hoped that the winning prototype and designs of the runners-up will be displayed in a special exhibition at Birmingham Airport, showcasing the benefits of magnesium to the more than 13 million passengers who use the airport every year. “It was fantastic to be able to visit Birmingham Airport and the prospect of being able to exhibit there would be an incredible opportunity,” said Alice Evans from Bromsgrove, who is studying Product and Furniture Design at Birmingham City University.